I’m happy to have my friend author Jennifer Rodewald back with us today at Inspy Romance. She has a new novel that will really leave you wrecked…but in a good way. It’s an honest and beautiful story that digs into when romance and marriage don’t go exactly the way we expect. That said, I’ll turn over this post to Jen. Is it a place we fall? Something that we do? Soft and tender? Fierce and strong? Yes. To all of it, I think the answer is yes. Sometimes, though, we kind of forget the half of it. 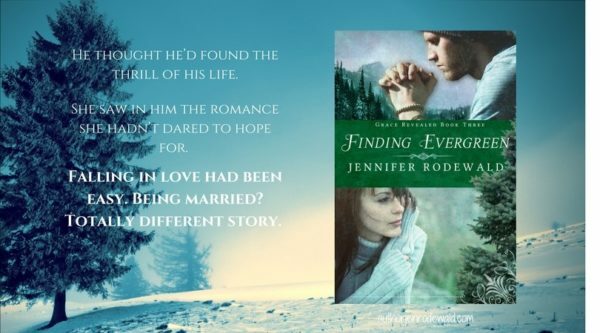 Finding Evergreen, however, isn’t one of those kinds of romances. It is the other half—the one that in story we often leave out. It is the battle—the fierce fight to hold onto what was once the easy, gooey sort of love. A romance, yes, but one that is wrought with hard emotion—both good and bad. And one that once again begs the question, what is love? I believe romance speaks truth at some level—and this one took me deep. What I found in the midst of an angry storm is precious and humbling, powerful and transformative. I found not just the redemptive tale of a marriage gone bad, but the beautiful truth of Love. I am loved. I. Am. Loved. The gentle hand of the Father surrounds me. The fierce and reckless love of His heart protects me. And from that place, this soil where I am rooting, growing, claiming His name, I can love like never before. This is a new kind of romance. Deep and strong and unquenchable. Whirlwind? Yes—yet grounded. No, rooted. In His love. From that place—the place of being loved—I can truly love. And so, the romance continues. Some days it will be light, full of smiles and sweet softness. Others, it will be fierce. Always, it is beautiful. So, now it is to you… what is love? Thank you Jen for this inspiring post. Grab a hankie and get your copy of Finding Evergreen. Sounds like a wonderful book! I would love a chance to read it. Hi Pat! It is great! Well said! Yes, praise Him! 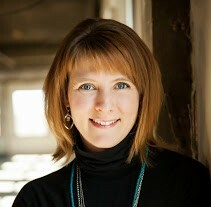 Janet, thank you for the introduction to Jennifer’s books. I love angsty romances that deal with the hard stuff! Kudos to you, Jennifer, for taking that on. Jen definitely takes on the hard stuff! Hi Janet and thanks for the delightful informative introduction to Jennifer and her romances. The stories are inspiring and thought provoking. Enjoy your weekend and best wishes. Thanks for stopping in, Renate. Hey Janet and Jennifer. Finding Evergreen sounds excellent and powerful. Thanks for the opportunity to win a copy. Thank you Sherri. <3 Good luck in the drawing. Thanks for the intro Jennifer is a new author for me. You’re going to love her! Without turning this into a Bible study 😉, the Bible uses 3 different words for Love. What we think of as romance is one kind, and we’re supposed to enjoy that kind only in the marriage relationship. But love is so much more. Marriage should be so much more. In fact, it has to be more than the sigh-worthy, sappy stuff I love to read and write in order to last. We need the fierce commitment to each other even more to get through the hard times, which is what a truly Happily Ever After is going to include. Amen! Thank you for the greT thoughts! So true! I wish there were more books out there that stress this type of love.I mean novels. Jen writes wonderful stories. I’d love the chance to read this one. Thank you for the introduction! I look forward to reading! Sounds great! In some book I read recently, the author stressed the idea that love isn’t a warm fuzzy feeling, but a choice. It sounds like a great book and needed in our world today. I love your writing. It’s real and refreshing. This whole series is one I want to read. I’ve got the first two books on my TBR pile. I also love the covers! I’ve read a couple of Jen’s books before and it’s one of those books that even a few years later you still remembers details about it. I love the fact that her books are different and the storylines are so emotionally charged and realistic that you can relate or know someone who had been or is going through it. I look forward to reading her other novels. So true! She doesn’t shy away from the emotion! Loved reading this and am looking forward to reading all of Jennifer’s books. This one is one I’ve been wanting! Would love to win it! Hi Erin… so glad to hear you’ve been wishing for Finding Evergreen. :) Good luck in the drawing. Great Emily! It’s a wonderful read! Wow!!! Sounds like a great book and would love the chance to read this book. Cover catches my attention, as well as the sayings. I read the Red Rose Bouquet and would like to try another in the series. Especially one that is tougher going. Hi Christine! We have you in the drawing! Hi Winnie!! So great to hear from you! Ye,s have a tissue handy! Hi Winnie! Thank you for reading (and reviewing!) Finding Evergreen! So honored by your time and encouragement! 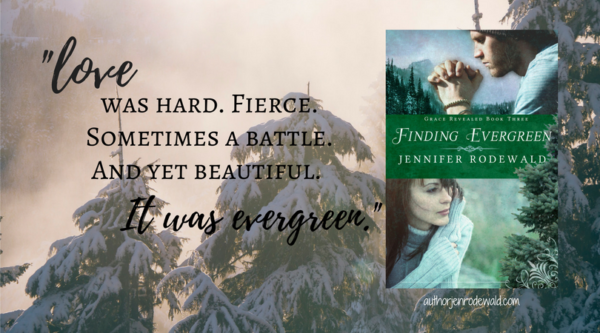 I’ve actually read Finding Evergreen and still have book hangover from it. Love being evergreen is such a powerful image and thought. I’d love to read Cupcake Dilemma! Ha! I love a good book hangover :) Cupcake Dilemma is sooo cute! LOL, Yolanda! All the best sent back to you! Yes! – This books sounds like a good read. Real love is love that has been tested and proved itself true. Ohh, I love the dilemma and look forward to seeing how they work things out!